The new Toyota Supra is a big deal. I say this because it has rather large boots to fill when you consider the scale of its predecessors and the cult following they carved for themselves. The fourth-generation A80, the one with that large rear wing and stonking twin-turbo inline six 2JZ-GTE under the bonnet, is respected globally as one of the first 'budget' sportscars to challenge more expensive supercars. Production of this model ended way back in 2002 and, with no confirmation of a successor, the public felt it was the end of the legendary Supra. Another victim of tightened emissions regulations. Fast-forward to January 2019 and the launch of the all-new MkV A90 Toyota Supra. 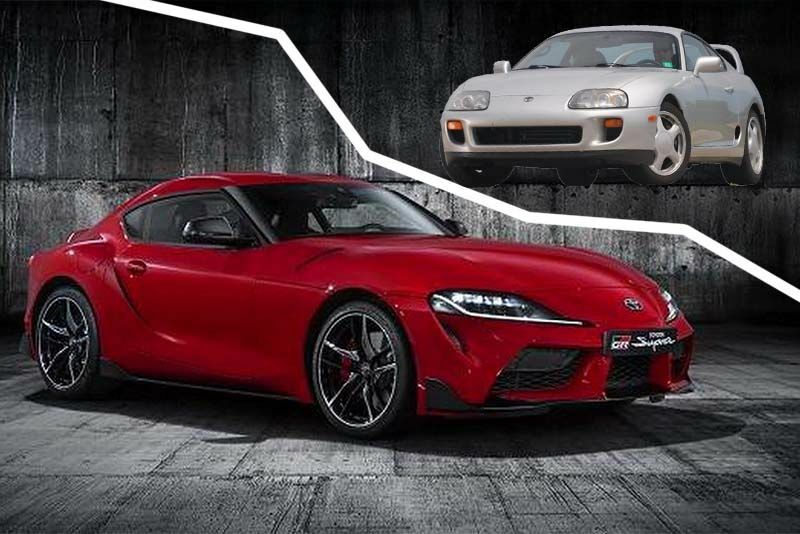 The excitement is palpable; a front-engined, rear-wheel drive Supra developed by Toyota's Gazoo Racing division to be a pure sports car – just like its predecessor. Is it really, though? That's the question on the lips of the purists. So, yes, it has a 3.0 turbocharged straight-six but, as one Facebook user heatedly exclaimed, it's from BMW. So is the gearbox, an 8-speed ZF automatic, both of which are sacrilege according to other passionate Supra fans. But, says Toyota, it's these exact views from potential buyers that drove them to BMW in the first place. But, the last proper powerplant of its ilk in Toyota's arsenal was discontinued at the demise of the 2JZ, “Now there are only a few companies that still adopt a straight-six engine. They’re too long and difficult to package,” said Tada. And then there's the automatic gearbox that also has critics up-in-arms. According to assistant chief engineer, Masayuki Kai, a manual transmission might be on the cards, more likely for the RHD countries, "It purely depends on the reaction of the market." Kai told the media that engineers have already developed a standard transmission but its inclusion will depend on demand. "If, for example, U.S. customers are demanding strongly that Supra needs to be a manual-transmission car, then we will plan it." And this is where it gets tricky for Toyota because those of us old enough to have owned the previous generation is hungry for a manual but what does the newer generation want? Do they have the same connection to a stick-shift that we do? Apparently, not so much. Looking past the BMW sourced drivetrain, we're faced with an all-new chassis which fans were worried would make the Supra heavy and bloated. The latest high-tech construction methods mean that the metal chassis is lighter than the carbon-fibre composite one doing service in the Lexus LFA. The engine and gearbox sit deep down, beneficial for a low centre of gravity, and the cockpit is placed far enough back for a perfect 50/50 weight distribution. Feedback from various members of the media at a pre-production drive day last year revealed a lot about the vehicle's dynamics. The electric-assisted steering is said to be light but the nose, apex-accurate. The brakes, soft and vague. There is, apparently, a significant change in dynamics between Normal and Sport mode and, with its short wheelbase and wide track, is a hoot to drive even though there's not much in terms of getting the tail out. This, once again, seems to have the nay-sayers throwing knives because a Supra should be a more mechanical beast, allowing the driver to feel every detail of what the car is doing. The problem here is that the only information anyone has is based on an unfinished prototype. As Toyota said at the time, much of the fine-tuning of all of these elements were yet to be finalised. In terms of the aesthetics, as subjective as they are, there are mixed reactions. The prototype has been in our face for long enough now that everyone has an opinion. Many think it's beautiful, well balanced and just enough to be recognisable as a Supra. Others, though, are disappointed it doesn't have a huge rear spoiler. So, until we all get the opportunity to drive the 2019 Supra for ourselves, the most anticipated Toyota since the GT86 has tongues wagging with a decent injection of debate. When last did that happen? Video: The Toyota Supra Is An Iconic Japanese Legend, And This 600hp, Single Turbo, Jdm Mk4 Machine Looks Like A Blast! Video: 1500hp Supra Slides Across Finish Line On Fire!